Volleyball at St. John is a fun and rewarding sport for young girls. The girls learn the fundamental principles of volleyball - passing, setting, serving, and hitting in addition to team play and sportsmanship on and off the court. Each practice begins with a short devotion, and each game begins with a player-lead prayer. Girls from our team have gone on to successfully play high school volleyball and club volleyball using the skills gained at St. John. 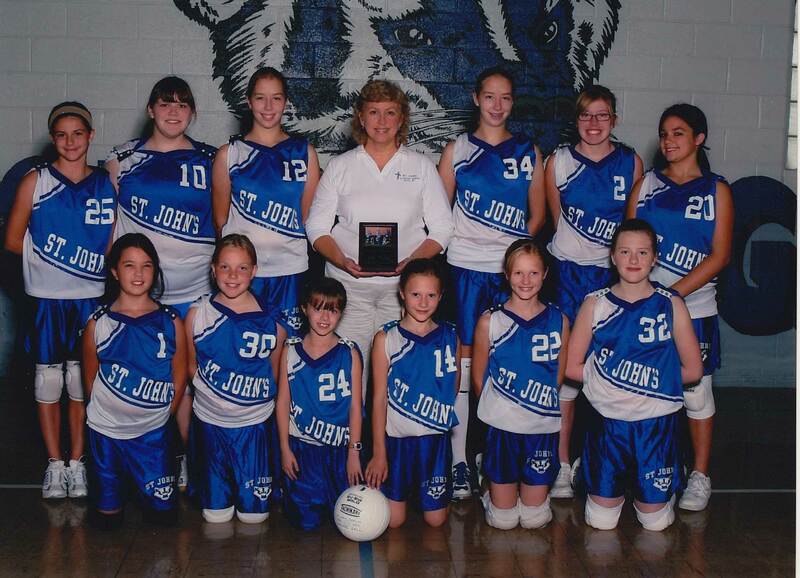 St. John Volleyball is fall season sport that runs from September to October. Girls in grades 5 through 8 that meet grade requirements are eligible to play volleyball. Practices begin in late August and are held daily after school from 3:15 to 5:00 p.m., with the exception of game days. Games are held one to two times per week with teams from the surrounding Berlin and Fox Valley area. The league is made up of parochial schools from Oshkosh, Appleton, Neenah/Menasha, West Bloomfield, Berlin, and Manawa.